But with Brexit uncertainty engulfing the UK and the property market feeling the effects, is Bristol still the place to be as a landlord as we move into 2019? Bristol's employment rate of 76.2% for its urban area population of 670,000 means plenty of potential working tenants for those looking to invest in the area. With London rents still out of reach for many, a huge number of young professionals are flocking to Bristol to play a part in its burgeoning technology start-up scene. A study in 2017 by the Centre for Business and Economic Research estimated Bristol's economy grew by 1.9% between June 2016 and June 2017 - making it worth a huge £13.8bn. A number of co-working spaces have sprung up in Bristol as entrepreneurs and start-ups flock to the city. Bristol's position in the South West makes it a great place for all kinds of demographics to live. Its excellent rail and motorway connections mean a London commute from next year will be 17 minutes quicker by rail at around 80 minutes. The M4, meanwhile directly connects Bristol to the capital by road, with the M5 linking the city with the Midlands and the North West. While Bristol has seen price growth slow like the rest of the country since the EU referendum of 2016, many areas of the city are showing plenty of signs of holding firm against the uncertainty of Brexit. Terraced homes in Bristol over the past 12 months have averaged £297,170, while flats have fetched, on average, £244,240 and semi-detached homes £331,005. The University of Bristol and University of the West of England means thousands of students live in the city - and a fair number of those remain after graduation, thanks to Bristol's booming technology and start-up scene. Those looking for student property investment opportunities should definitely consider Bristol. 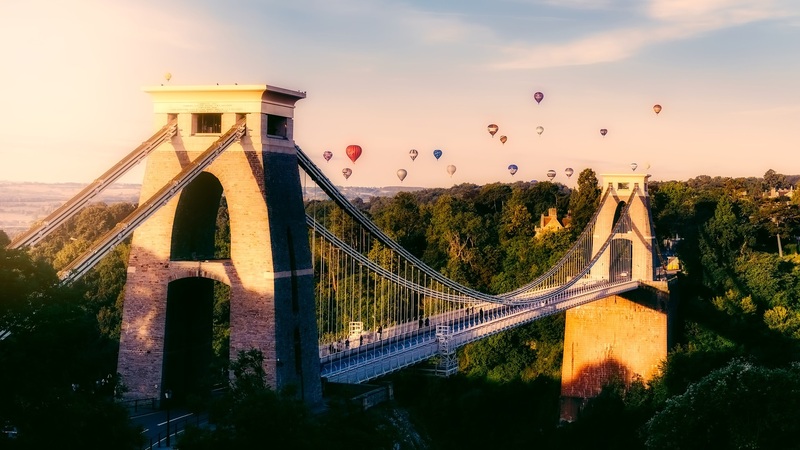 Thanks to a younger demographic flocking to the city for its technology start-up scene and high employment rates, Bristol was named Europe's trendiest city in National Geographic's Cool List. That placed it ahead of Abu Dhabi and Paris! There are national employers aplenty in Bristol across retail, construction, IT and communications and with government investment pouring into the area, more big names could soon follow. Thanks to the Clifton Suspension Bridge, the BS8 area is one of the first people think of in Bristol. Picturesque and trendy, Clifton Village's multitude of cafes and independent shops make it a popular area for young renters. Average property price in Clifton: £343,380 (flats). Thanks to its 1990s regeneration, Southville now rivals more expensive areas of Bristol with its independent shops, bars, restaurants and community feel. The harbour is a short walk away, which renters love. Average property price in Southville: £219,581 (flats). Average asking rent in Southville: £1,018 (two-bedroom flats). With its range of Victorian terraces and semi-detached homes, not to mention falling into the sought-after Redland Green and Cotham School catchment areas, Bishopston is something of a haven for families looking for larger rental properties. Average property price in Bishopston: £409,689 (terraced). Average asking rent in Bishopston: £19,067 (all properties).